If ever a vintage dress makes you feel like a princess, this one will! 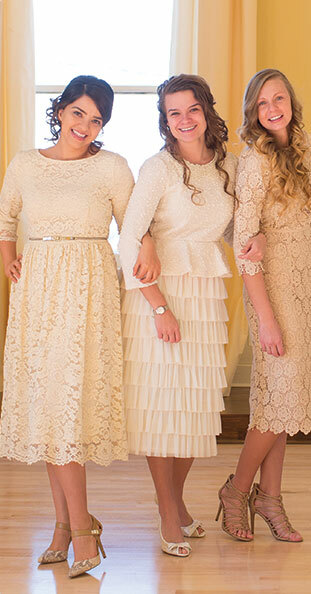 The Heirloom Lace Dress is made of the softest lace you will ever feel. Bouquets of flowers in the black lace pop prettily against the contrast of the champagne underlay. The modest, full skirt flows from a natural waistline and falls into a scalloped hemline. A ruffled, taffeta, high-neck collar adds to the overall gracefulness of this breathtaking piece. Taffeta sash included; back zipper.